Running with Bucky emblazoned on my noggin. I have a recurring problem… okay several (Ha Ha), but this one I’m willing to talk about openly. It’s hats… in particular, baseball hats. Yup, I’m addicted to those wonderfully brimmed beauties that keep the sun and sweat out of our eyes while simultaneously professing our love of a particular team, product or place. I equate my love of ball caps to that of ladies’ obsession with shoes. I mean how many pairs of black heels can you own? Apparently a boatload. I can certainly relate. 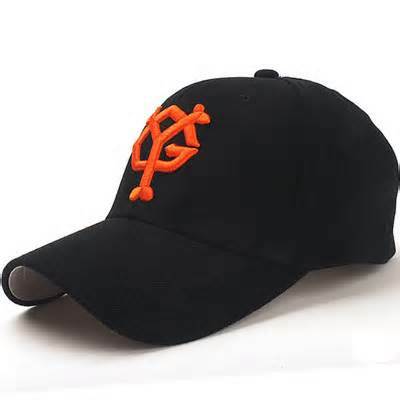 As a little kid I loved to wear the ball caps of my favorite professional teams or whatever little league team I was playing on. And when my dad would go to Asia on business he would bring me back ball caps of Japanese baseball teams (my favorite was the Tokyo Giants). Fortunately, by the time I hit my teens I kind of grew out of them and showed the world my blonde locks uncluttered by headwear. As a student at the University of Wisconsin (yes, those “Final Four” bound Badgers… woo hoo), my baseball cap addiction reappeared with a vengeance as I started collecting oodles of Wisconsin ball caps. Then when I went onto grad school at Florida State, the collection only got bigger with the addition of FSU hats to my already massive collection of UW hats. Toss in the Milwaukee Brewers, Green Bay Packers and Super Bowl hats (I started to get them too) and things really began to get out of hand. I also liked to get hats from any place I traveled to on vacation as a souvenir. South Padre Island, Myrtle Beach, Nassau, Copenhagen, Paris, Sydney… got ’em all. And yet I still avoided seeking help. My move to Los Angeles in 1995 only compounded things as I now had to add the Dodgers, Angels, Lakers, Kings, Mighty Ducks and Trojans to the mix. I guess it’s a fortunate thing that both the Rams and Raiders moved away, otherwise I’m sure I’d have another half dozen caps clogging up my already expanding assemblage. And when my brother moved to Atlanta, Braves hats also made their way into the rotation. Oh, I guess I should also mention that I picked up some San Diego Padres hats because the “SD” in San Diego is also my initials, so I dug idea of having my “unintentional monogram” emblazoned on the front of a hat. 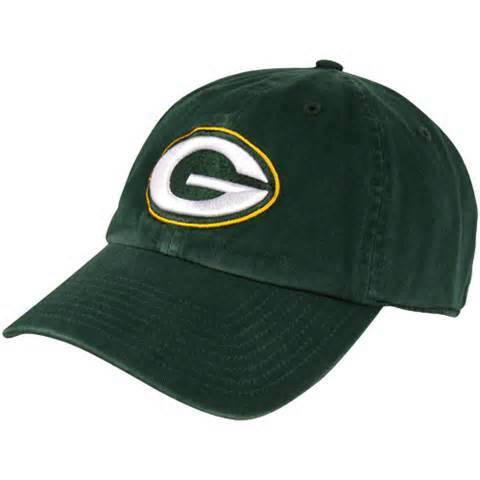 *NOTE: Now this wide assortment of hats from various teams doesn’t imply that I’m a fair-weather fan… not at all. I’m beyond loyal to my squads (Badgers, ‘Noles, Packers) but I also appreciate a cool looking hat and don’t feel I’m betraying my team by trying something a little bit different. And since I’m in the entertainment industry, we tend to amass a bunch o’ film/TV-related swag and one of the most popular items to give away are ball caps. And the collection grows that much more. Then things really went off the deep end when I started getting ball caps from minor league baseball teams with crazy logos. New to the cap rotation: The Albuquerque Isotopes, The Las Vegas 51s, The Rome Braves, The Modesto Nuts and The Montgomery Biscuits. 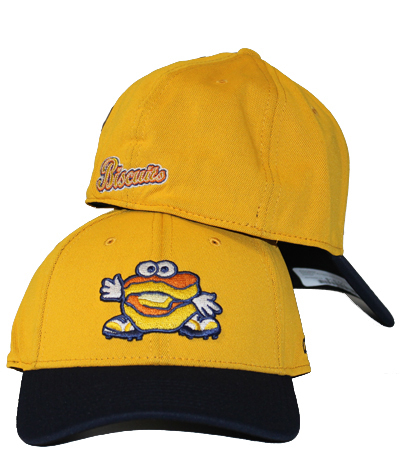 Yes, I bought a hat featuring a biscuit mascot with googly eyes on it… how the hell could I not? Needless to say I had a “few” hats… and something had to be done before they carted me off in that funny little jacket you wear backwards that has the really long sleeves and multiple buckles. Well, 2013 was the year of my “great purge” where I decided that I had too much stuff and that I should limit myself to what I really needed (or just a few favorites). Thinning my hat herd was one of the toughest things I had to do. But my loss was Goodwill’s gain and the Burbank office was the recipient of one helluva hat collection… I hope they went to good homes. Now you’re probably thinking two things (other than if Scott has had caffeine this morning)… 1) If you solved the problem, then why talk about it. 2) What does this have to do with running? Admit it. You own one. Well, runners wear hats don’t they? Yup, I’ve apparently had a relapse. But this time it has to do with running hats. I started off with my Team to End AIDS runner’s hat (my favorite, btw). But I couldn’t very well wear that every run, lest I destroy it. 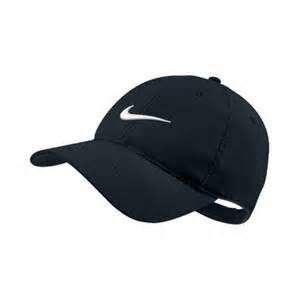 So, I graduated into the Nike swoosh hat (I believe everyone is required to own one by law). Well, the swoosh has multiplied into many swooshes. 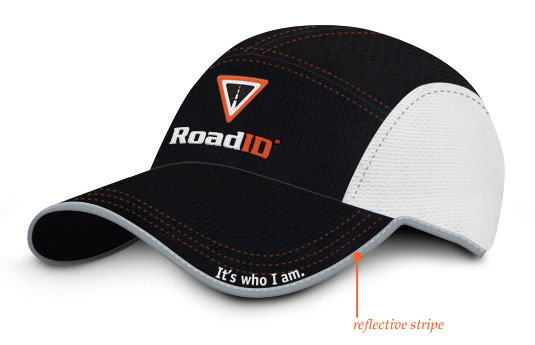 I started getting hats from other manufacturers and stores: Halo, Gu, A Runner’s Circle, Roadrunner Sports. Another one added to the pile. And what better way to commemorate individual races than with runners caps: Chicago Marathon, Surf City, Great Race of Agoura, Rock ‘n’ Roll series, LA Marathon. I’ve now amassed quite the menagerie o’ runner’s caps. In fact I’ve ordered two hats this weekend alone. 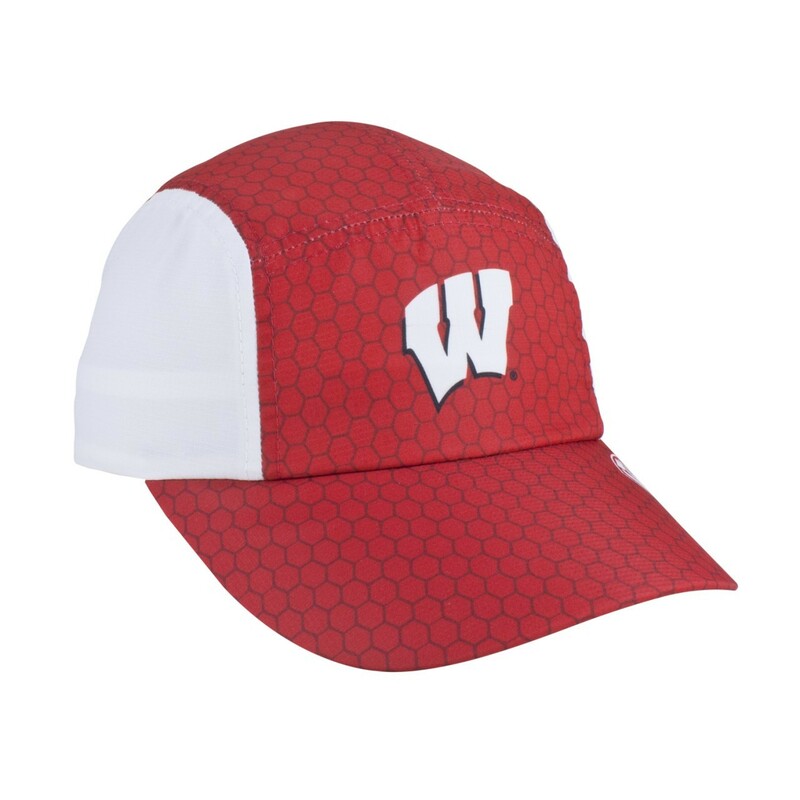 And the second one was a University of Wisconsin runner’s hat. It appears I’ve come full circle. At least I’ll be stylish when I run. And a little bit happier. So if you see me running on the road give me a tip of your hat and I’ll tip mine in return… I’m just not sure which hat it’ll be that particular day. 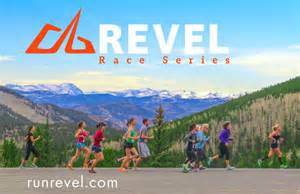 Posted on March 30, 2014, in General, Humor, Tech & Gear, Training and tagged Hats, Running hats. Bookmark the permalink. 4 Comments. The Albuquerque Isotopes? That might be my favorite team name ever! First team I can think of named by a “Simpsons” episode. Don’t overthink them, you want a hat, get it. That’s how I justify buying running gear….. If I believe it then it’s true. Oh, there’s so much running gear I want… hats are just the tip of the iceberg. But I like how you think.